What happens when you mix something good with something bad? Mix honey with vinegar- the honey is ruined, and the vinegar did not get any less sour-salty-weird. Both are ruined, and the result is anything but pleasant. But in relationships, this logic need not apply. Before the chaos and martyrdom ensues, there’s this crazy ignited spark that shines brightly, but quickly, until it inevitably burns out. Which might be what’s going on with Fred the Red. 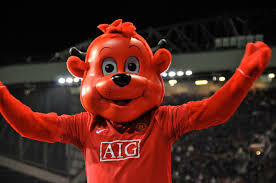 Mascot for this little Premier League Soccer team called Manchester United, Fred has been named the most popular mascot in the world, though that may be due to the ridiculous size of the fanbase, and not the cuteness of the mascot. He is the devil, after all, and has the tail to prove it. Founded 137 years ago as the soccer club team of the Carriage and Wagon Department of the Lancashire and Yorkshire Railway Company, it has since grown to a $2 billion empire, and the most valuable soccer team in the world. 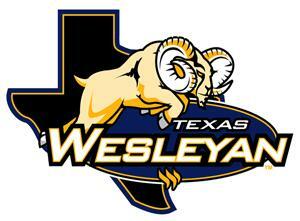 You’d think they’d invest some of that in a better mascot. Half bear, half satan, Fred is a one of a kind creature. Fred was born back in 1994, so it’s tough to believe that his 15 minutes of fame are not up, but he continues to have a ginormous following. Maybe the stockholders will join together and make it change- you, too can buy a piece of MANU on the NYSE. It’s only $17.35 per share! Abundant apologies to my mascot readers- I have been quite the slacker these past few weeks, when really, mascots should always come first in life. Trust me, your disappointment is in no way as powerful as the disappointment I have in myself, thanks to an Asian-influenced upbringing. 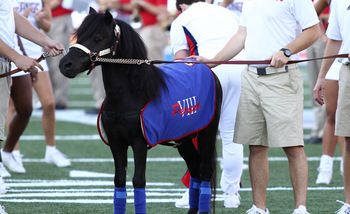 To reflect on that disappointment, today our mascot comes from the Southern Methodist University Mustangs. Located in Dallas, Texas, a certain stereotypical image of cowboy-like toughness is expected by an outsider such as myself. Hearing ‘mustang’ completely goes along with this- maybe a big-hat and spurred-boot-wearing mustached man rides onto the field on his huge horse with a rope in his hand, all ready to lasso the competition. But the official mascot is… a pony?! 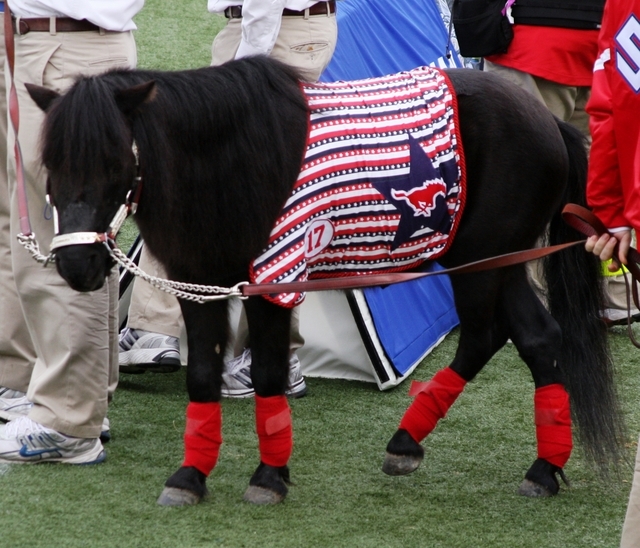 In 1932, a big fan of the school decided that there was a need for a live mascot, but chose a Shetland pony instead of the iconic black stallion due to their lower cost and higher expected lifespan. The pony-thing has continue since. Prohibition was still in affect in 1932, and the fans of course wanted to pregame, so they would often drink Peruna Tonic, an over the counter cold medicine with a pretty high alcohol content. This possible alcoholism led to Peruna always being the name of the ponies- Peruna IX being current. Look at the little cutie! Not quite what you expected from a school who puts this sprinting mustang on everything. Or maybe it is a pony galloping away- how should I know?! If you’ve ever wondered “when does someone just sit down and write about mascots?” the answer is that it happens at work, when the rest of you are reading articles on Yahoo or buying items on Ebay. Today has been one of the worst days here, because our awesome group of 4 (Go SoCal!) got moved to the very other side of the room, and I am now in a different cube. Many have said that my response is overly dramatic, but I absolutely disagree. I have spent 8-12 hrs/day in that thing for the last year. That’s a lot of hours in said fabric-walled structure- enough to get an emotional attachment. A different group is moving to that area, and someone else gets to enjoy what was once my work abode. If there is anyone who can sympathize with me, it’s my coworker, who is going through the same thing. No, I’m kidding, he doesn’t care what cube he’s in. The real empathizer is Bomberman, from Ithaca College in New York. 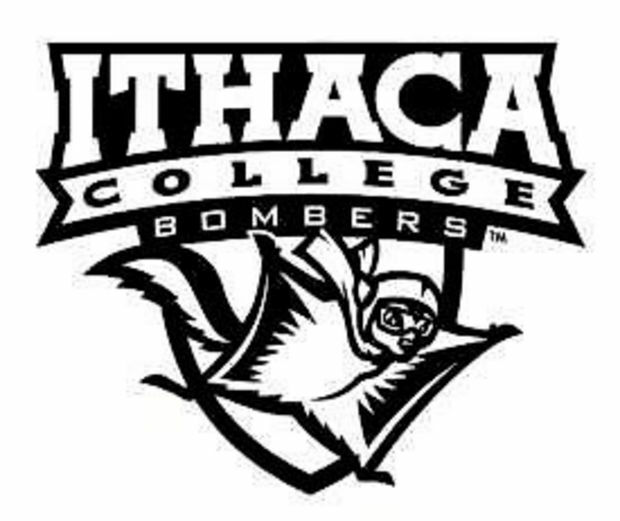 Named after the Bronx Bombers, Ithaca College has schooled some well-known folks like Ricki Lake, Gavin DeGraw, and Robert Iger (Disney Pres./CEO). It also was home to Bomberman from sometime in the 1930’s to 2010, when they decided he needed to leave. 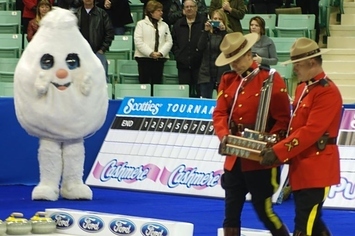 As a bomb-toting flyer, it is understandable why he may not have been the easiest mascot to defend. The mascot controversy fire has been burning through the Korean War, the Vietnam War, even the atomic bombing in WW2. But nothing fanned the flames quite like 9/11, and while the school tried to hold on, 9 years later they eventually lost traction and terminated Bomberman. That must have been a heartbreaking day for him. 70-something years in your home, and then one day they just ask you to leave. How horrible. Ithaca decided to replace him by having the current student body of about 6k vote on what character they would like most. The character choices were pretty evenly split, and some even voted that there should not be a replacement. 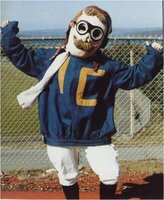 Ithaca did not want to cause any more drama, and felt that since not everyone agreed, there would just be no mascot. 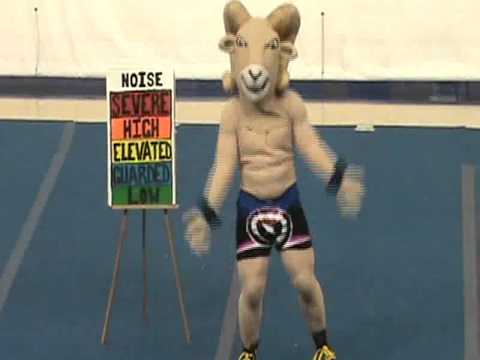 The school is still the Bombers, but with no fun dancing character to rile up this D3 sports audience. Lame. 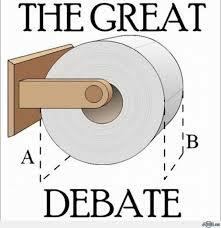 Which Way Do You Roll Your TP? A common phrase that somehow manages to have deep meaning, and no meaning at all- sure, you may get a yummy creamy caramel, or you may get a nasty shredded coconut, but either way, you’re gonna eat the whole box. More accurate is to say that life is like a roll of toilet paper, you never know which direction is truly correct. 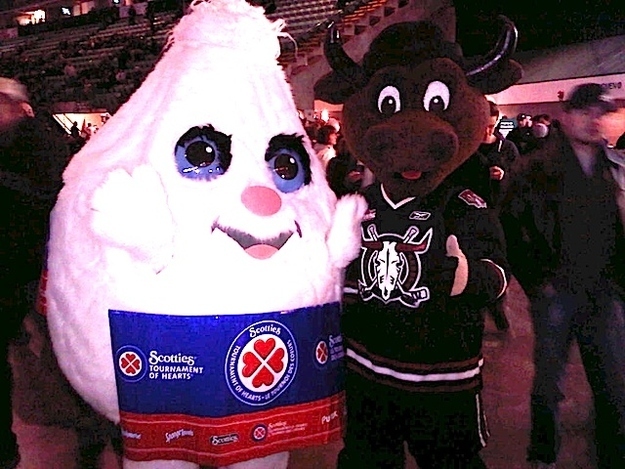 But if there is a mascot who knows the answer to this TP dilemma, (mascots have all the answers!) it’s Scottie’s Little Softie. In 1960, the Canadian Ladies’ Curling Association wanted to have an organized tournament, so they looked around for sponsors. Throughout the next two decades, various businesses would pick it up for short sponsorship, and then drop them. Then, in 1982, Kruger Products, more well known as the Scott Paper Company, hosted the tournament, and would continue to for the next 25 years. 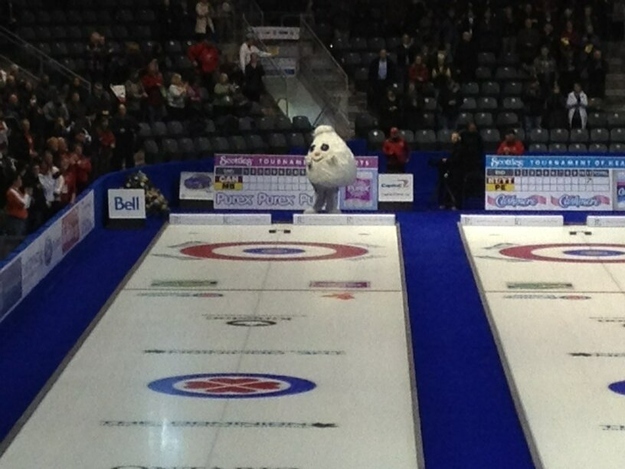 Hosting the annual Scotties Tournament of Hearts, it was a great success for women’s curling. 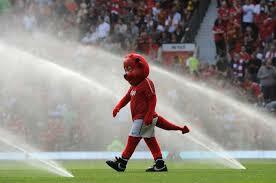 It was not seen as such a success for mascots, though. Most find Scottie terrifying, frightening, and even possessed. And maybe he’s even okay while cheering for something exciting. But up close, posing for the camera, he’s creepy. His eyes are sooo big, and soooo dilated! And he’s wearing an obviously cheap set of glue-on lashes. The moose buddy, however, is adorable!! Those of you who watch college football, live in the south, or even just watch ESPN once in awhile, know of LSU- Louisiana State University. But what about LSSU? Add one S in there and suddenly a blank is drawn. Much cooler (literally and figuratively) than this SEC powerhouse is the way up north academia home of 2500 students. Lake Superior State University has a campus in Michigan, on the banks of St. Mary’s River, which also happens to be the river that divides the United States from Canada. So you could go for a nice swim and suddenly be in another nation!!! Who am I kidding, there’s probably a fence- they don’t want needy Americans mooching off of their public healthcare. 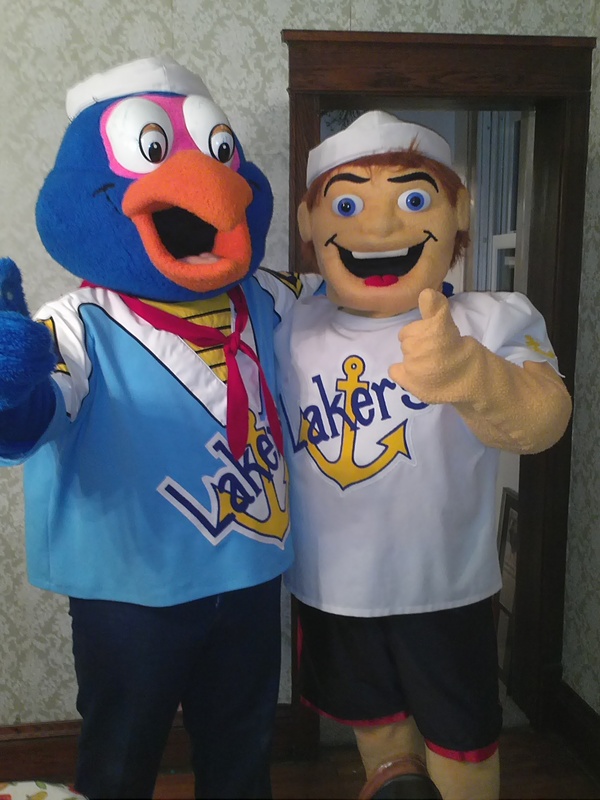 Seamore the Sea Duck has been around since the late 1970’s, and was joined by a hornet bff. But one of their rivals, Michigan Tech, became the hornets, and LSSU didn’t want the schools to get mixed up. 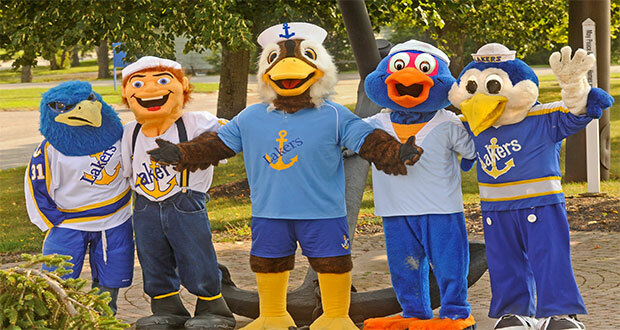 So they got rid of the hornet, and replaced him with Fog Horn the Sailor. Together, Fog Horn and Sea Duck have been rocking it out near a customs checkpoint since 2000. 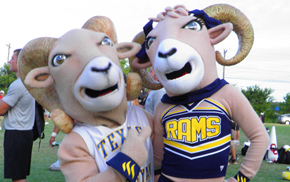 These two overly-happy characters are also the only official fanbase of the school, since the school does not have a cheerleading team. Though the mascots sometimes have scary, possessed-like eyes, quantity makes up for quality. While unofficial, they often bring back the hornet and some buddy birds of his. That’s a good group of friends. Though I do wonder- does the one human feel weird hanging around a bunch of birds? Do they fly off without him to get places faster? 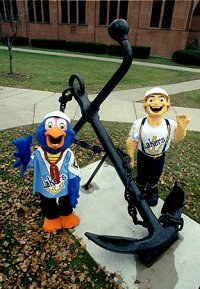 Maybe the next time you change the channel because ESPN is talking about some D2 sports, you’ll wait and see if they mention Seamore and Foghorn. And root for them in hockey- they’re a tiny school, and still D1!!! Hannibal is a Happy Mascot? Happy Monday! It’s everyone’s favourite day of the week, and to brighten it even more, let’s talk about Hannibal! Doesn’t that word just come with the phrase ‘The Cannibal’, of the 1988 movie ‘Silence of the Lambs?’ Well, it turns out it has a different origination entirely. In 200 BC, the Punic Empire in Carthage (Tunisia) had a military leader named Hannibal Barca, who was born into a militia family, and took power after his father led the empire to a loss in the First Punic War. Hannibal took a much more violent and dominant approach to war, and was successful through many battles, but eventually was desired for execution by the Romans. He instead took poison to show that at no point did the Romans have power over him. So either way, the idea of ‘Hannibal’ is pretty dark and twisted. 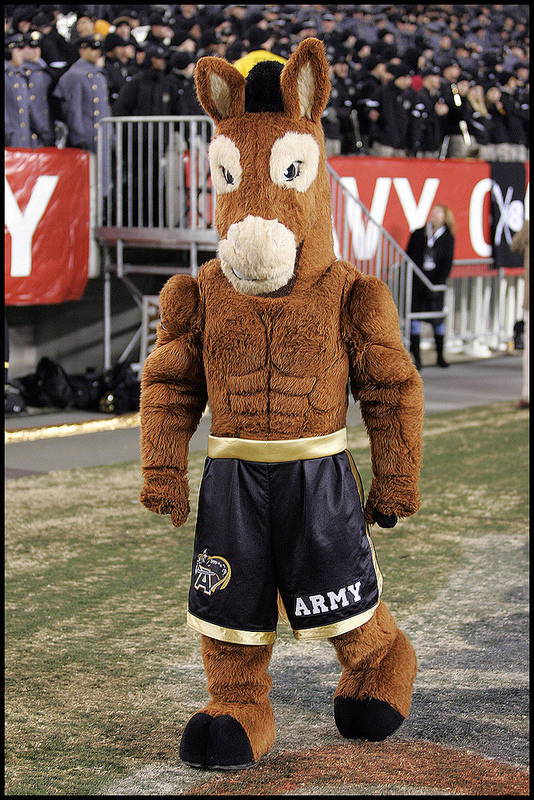 Which brings us to the question- why has the Army given two of their live mascots such a name? 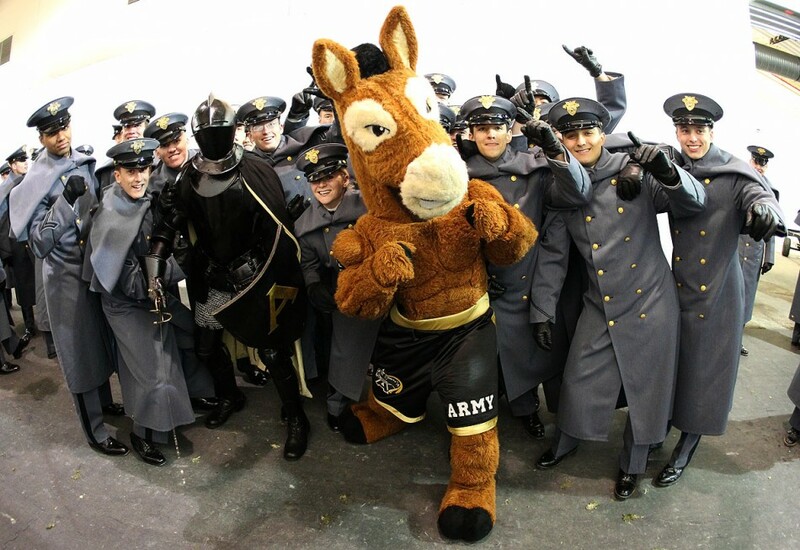 The U.S. Military Academy in New York has the official mascot of the mule, which is actually quite adorable for the toughness they attempt to portray. Granted, he does have the build and appearance of starting to box at any moment. 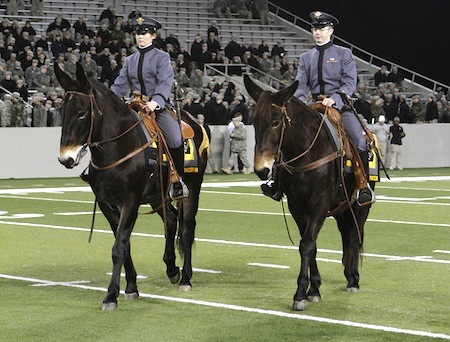 The Army has always had at least one live mule to be the official mascot. 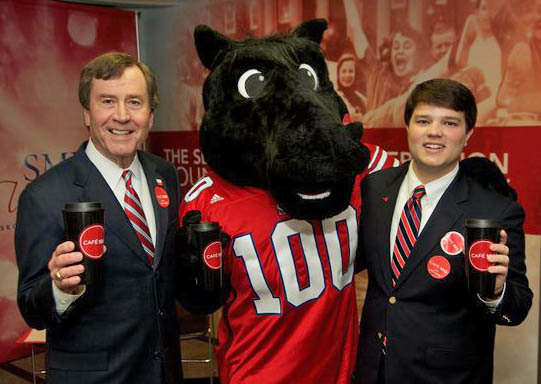 In 1948 and 1964, the names Bud and Jack were respectively given. However, both times, these names were deemed ‘not tough enough’ so the names were changed to Hannibal and Hannibal II. Mules are large and enraged, perhaps, but not necessarily cold blooded killers. But seriously, for the toughness that the militia generally tries to portray, the anger the mascot is given, and the name of Hannibal, you’d think the students would be a little tougher and a little less fun. 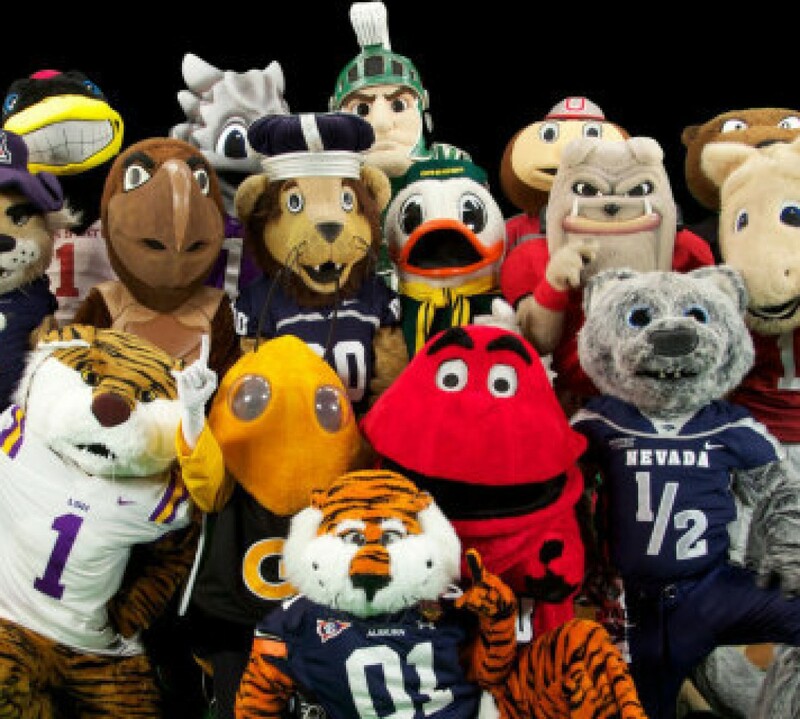 But here we have the truth: everyone smiles when a mascot is present.